Combining culture and craft, Austrian-born footwear designer Carolin Holzhuber’s work is often an artistic reflection of meaningful concepts as well as creative imaginings and interpretations of her surrounding environment. Viewing her work more as sculpture than footwear construction, Carolin’s motivation is to develop a continuing dialogue between her pieces and those who encounter her work. Functioning as compositions made up of many crucial and carefully thought of components, the beauty of her work is fully appreciated when understanding her footwear as objects to be considered, reconsidered, and examined, detail by detail. Carolin’s work reflects our fascination and appreciation of the sublime, tapping in to that need to become fixated on something that challenges both the mind and the eye. Sometimes confusing, sometimes disturbing, her visually challenging footwear seems to taunt the laws of physics, making the illusion part of the beauty. All this is encompassed in the use of a carefully selected mixture of innovative materials that are as crucial to her overall vision as her inspiration. 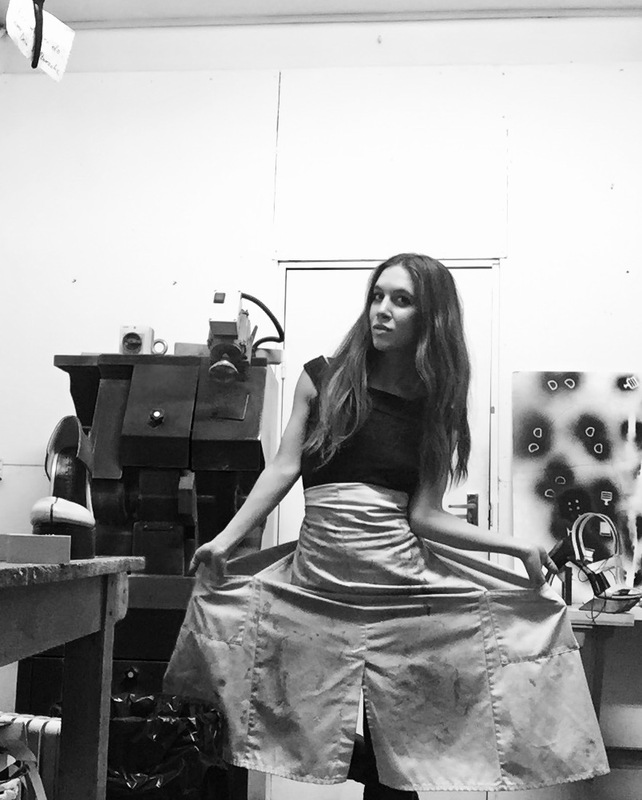 Without compromising the innovative spirit of her work, Carolin continues to pay homage to traditional methods of footwear construction, making each piece with care and consideration herself in her East London studio. She is based in both London and Vienna. Having graduated in 2014 from the MA Fashion Footwear Course at London College of Fashion, University of the Arts London, Carolin did her BA Fashion at the Fashion Institute Vienna Hetzendorf in cooperation with the University of Arts Linz. Throughout her burgeoning career, Carolin received an award from the Austrian governmental department for Art and Culture (BMUKK) in November 2014, and has been selected to show curated pieces from her collections at numerous exhibitions worldwide including “ReFashioning Austria” in Shanghai, “If The Shoe Fits” at the Mansion Strathmore in the United States, and the MA14 exhibition at Victoria House London. Her collections have also been nominated for extensive awards such as the Deutsche Bank Award for Creative Enterprises (2014), the International Talent Support (2014), and the Arts & Crafts Design Award (2015). To date, She has presented her collections for three seasons during Paris Fashion Week and has collaborated with Iris van Herpen for her SS17 couture collection entitled “Between the Lines “.